Landslides are natural disasters which can pose a serious threat to human and property in many areas around the world. 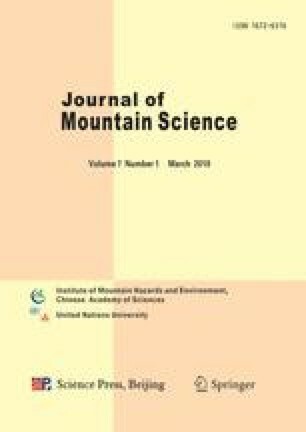 The Transient Rainfall Infiltration and Grid-based Regional Slope-stability (TRIGRS) model was used to investigate the rainfall-induced shallow landslides in a forested mountain region, Korea. Various input data for TRIGRS model include time-varying rainfall, topographic characteristics, soil depth, material strength, and hydraulic properties. A series of calculations were conducted in determining the slope stability over the Jangheung region in Korea during the storm occurred on August 6, 1998. The results show that TRIGRS model captured about 64.1% of landslides that were extracted from the IKONOS2 imageries. The model demonstrated how the factor of safety changed with time during a storm considering both the transient and spatial responses of pore water pressure in its slope stability calculation.